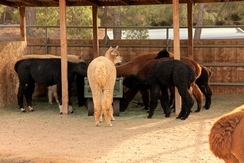 You are welcome to visit the ranch and get close to the alpacas. 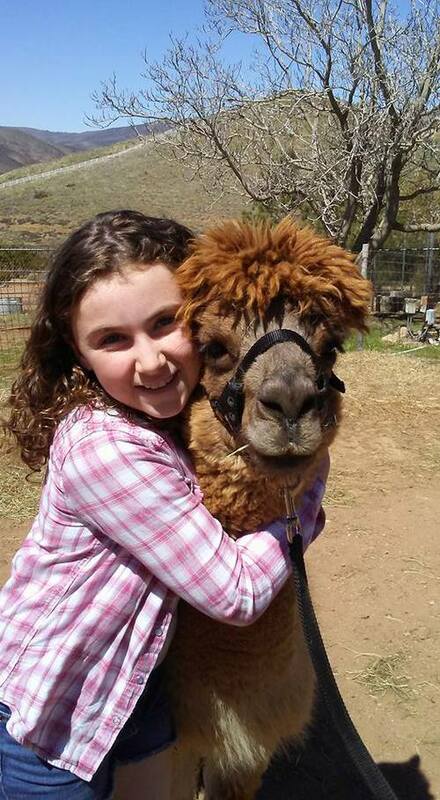 Learn about these beautiful, gentle animals. 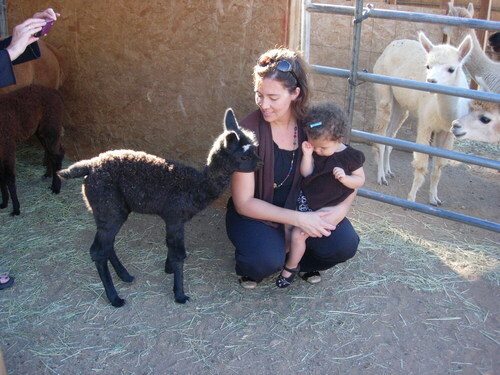 Get close to the animals, interact with them and take as many photos as you like. 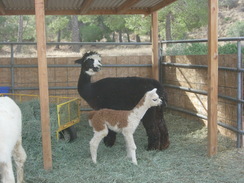 We also have alpaca products for sale. 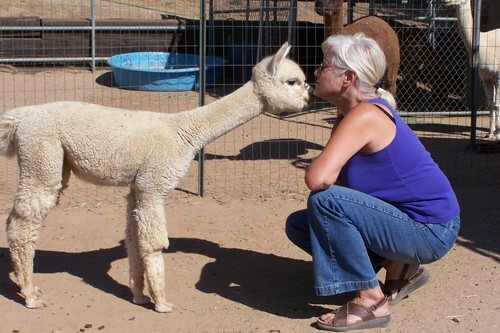 I am open for visits on Saturdays and Sundays WITH APPOINTMENTS from 11AM to 2PM. The tour takes about one hour. Please make a reservation by phone or email! I ask for a donation of $20 per person. While in Agua Dulce you may also want to visit some other attractions such as the Agua Dulce Winery where you can do wine tasting and have a light lunch. Also visit the Vasquez Rocks Park, famous as a location for numerous movies. The little western town center has three restaurants as well.